Somsong Pochana is situated in Banglamphu, the old part of Bangkok. It’s also not to far away from the famous Khao San Road, meaning you might bump into some of the usual clientele on the hunt for something else than the less than decent Pad Thai stalls along the party street. Anyway, there are some good spots in the old part of town, including Somsong Pochana. Tucked away in a small alley, Somsong Pochana dish up some excellent plates and bowls, including their well known Sukothai noodles. An important aspect when making Sukothai noodles is to use quality tamarind to get a good acidity or sharpness in the dish. Many of the industrial versions doesn’t have the complexity in flavors and also add an unwanted extra sweetness to the palm sugar. While the chili is taking care of the spiciness, the roasted peanuts is all about crunchiness and texture, it gives a better mouth feeling. Sukothai noodles at Somsang Pochana comes with slices of pork and green string beans and the tom yam (soup) version is based on pork broth. My favorite is Giem-Ee in tomyam broth of Sukhothai noodle. 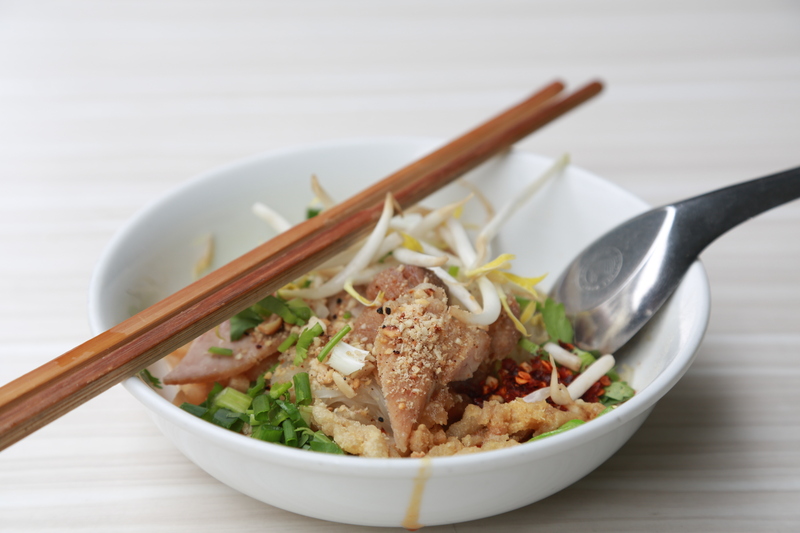 Sukhothai noodle is practically a pork-based clear noodle with long green beans. Tom yam means it is pre-seasoned with chili, limes and vinegar. But Sukhothai-style pork noodles comes with or without broth. Personally, I’m a big fan of of the dry version, suki haeng, basically meaning sukiyaki without the broth (to relate to a Japanese term), but both are delicious. If you order the dry version ask them to reduce the amount of sugar as it otherwise can be a bit on the sweet side – Thai’s love sweets. If not, it will most likely disrupt the balance of sweetness, sourness and spiciness we’re all craving for. Khanom jeen sao nam. It looked better when it was served, but I was so eager to try it that I forgot to take the picture before I was halfway into it. But they have more on offer than just Sukothai noodles. 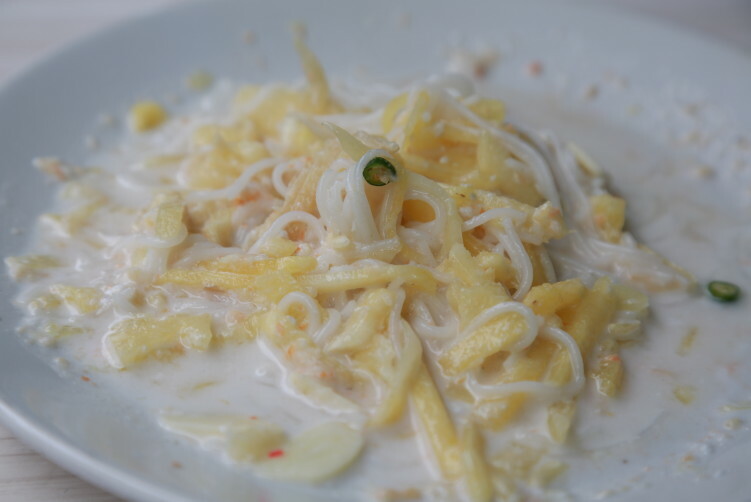 Kanom jeen sao nam is considered a dessert in Thailand, and it is, but for me it’s a delicious dish with raw chili, ginger, garlic, pineapple and fermented noodles topped with coconut cream that can just as well be used as a side dish due to it’s freshness. It’s a cold and distinct dish with exceptional flavors. Kanom jeen is actually a noodle that didn’t come to Thailand via the Chinese. The name can be quite misleading since kanom means dessert and jeen means Chinese in Thai. But kanom j http://trustedtabletsonline24.org/ trusted tablets een, as used here, refers to the noodles. A unique fresh rice noodle that’s thin and soft, and you can find it in two versions, the regular and the fermented. The latter is made of fermented rice flour, which gives it a yellowish color and a bit of sourness on the nose. Nowadays, fermented noodles are rare and I’m not familiar with any other vendor selling it in Bangkok. Before commenting on the dessert, let me also mention that a friend of mine told me that Somsong Pochana also do an excellent pla dook pad ped (stir-fried catfish with peppers and chili). Bursting with well-balanced flavors and a peppery aroma he told me. I haven’t tried the catfish myself, but that’s now on my to do list for next visit. Their much-craved for dessert, the kao fang piak (a mashed sticky rice dessert with pandanus leaves and coconut milk), is also a rather rare find on Bangkok’s food scene. Smooth and delicious, and a very good finish to the meal. I recommend to not stare in the coconut milk served on top. 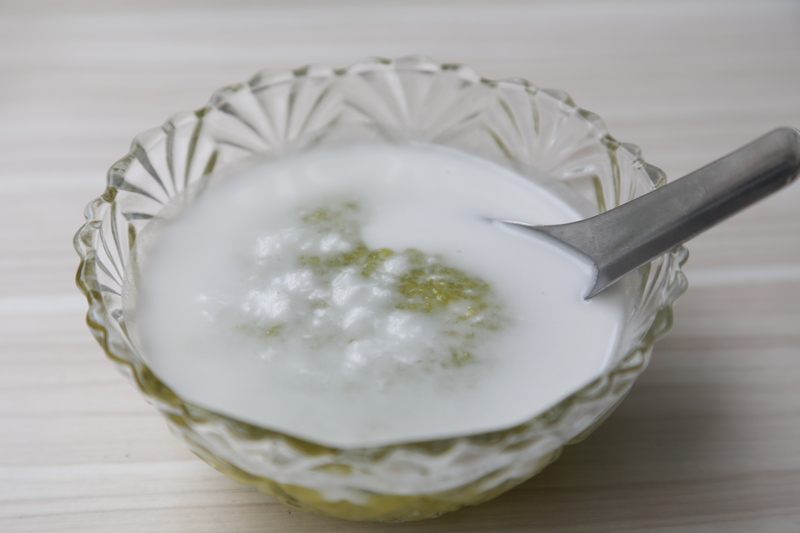 The texture of kao fang is very delicate and when lifting a spoonful of the kao fang, the coconut milk will just run through it and add a lovely saltiness from the coconut milk to the sweetness from the kao fang. From my short conversation with the owner, I understood that Somsong Pochana rotate the dessert menu and that Tuesdays and Fridays are the days to show up for the kao fang piak or some kao pad nam prik long ruer (fried rice with chili paste). If your preference goes towards banana in coconut milk (gluay baud chee) you should show up on a Wednesday. While Thursday is the day for whatever the nearby market has to offer when it comes to ingredients. As a refreshment you should go for the green tea with plenty of lime on ice. It’s beautifully orange and will take care of your thirst. It also goes well with the food served here. In general we’re talking about your grandmothers quality here, which can explain s steady steam of people coming for sitting down or take away. Many locals do the take away option. They also have a second floor inside with some seats. https://globaldevincubator.org/privacy-and-legal/ order now Food: Sukutai style pork noodles with or without broth (suki hang), fermented rice noodles (kanom jeen sao nam). Refreshing green tea. Address: 112 Soi Wat Sangwet/Soi Wat Sangves. How to get there: The easiest way to get here is definitively to come by Taxi. 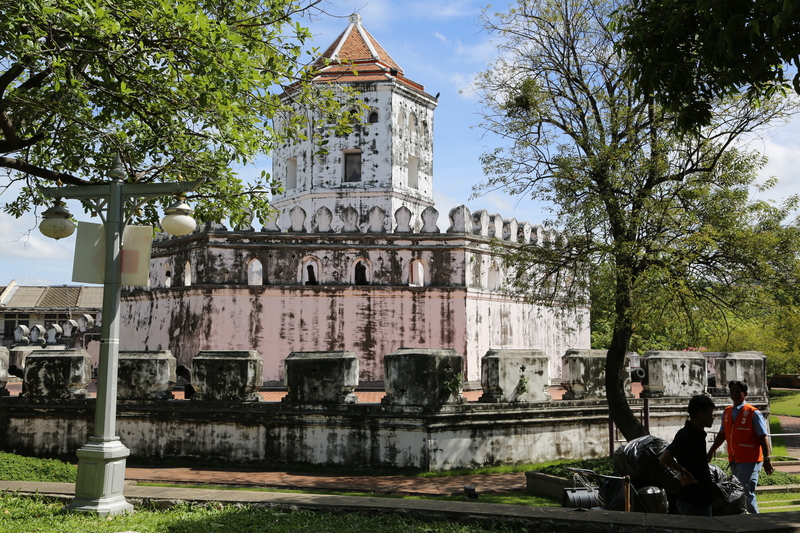 Jump of at Pom Pra Sumen (Fort) and take of at Lamphu Road just off Pom Pra Sumen. Cross the river (khlong Rop Krung) and take to the left at the first alley just opposite Watsungwej school. You see some tables and chairs on the street with parasols with LH BANK written on it to your right. Banglamphu is part of Bangkok’s historic inner center. It’s home to some of the cities major cultural sights and attractions, including the Grand Palace and Wat Pho, and the Sanam Luang Square is where major festivals are celebrated. Banglamphu ist also where you find the party street Khao San Road, a “backpackers haven”, and also plenty of museum, temples and sights. 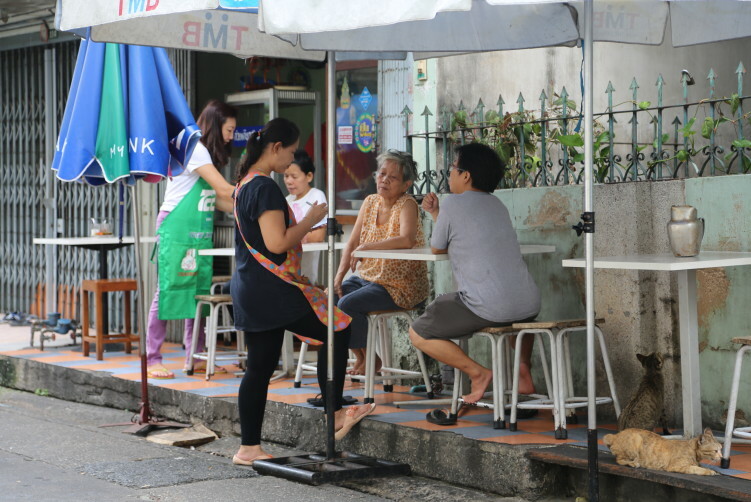 Although the Old Town is an unofficial designation with no formal borders, most residents seems to agree that it’s delineated to the west and south by the Chao Phraya River and to the north and east by the looping canal Khlong Phadung Krung Kasem. The area around Pom Pra Sumen (an old fortress) is a nice areas for walking, with two-story shop houses built by Thai’s and traders from all around the world, some of them dates back a century or so ago. It’s also next to the Chao Phraya river. Most families live and work here as they have done for decades, even if you see steps towards modernisation. The streets, including Tanao Road with plenty of food on offer and the village-scale streets off Phra Athit Road offer a slow-paced alternative to the cacophony you find downtown Bangkok. Artfully small design hotels opens up the in historic shop houses and European-style villas. Also the nightlife scene is changing with new cafes, galleries and bars in the more hidden side streets, and they really separates themselves from the drinking contest along Khao San Road. Some of them are lined up one after the other along Phra Athit road just opposite of Phra Sumen fort. Some time ago, princes and princess kept residences in the area. And when the princes and princesses died their staff members left the residences and started out businesses in the area, including palace chefs that cooked for the royals. You also have a lot of ministries nearby, a good sign for finding good food as their discriminating tongues are known to leave in small legions towards their favorite stalls during lunch hour. But modernization have started out in the Banglamphu area as well, and with time, the food scene will change as well. A likely development is that most of the classical street food vendors will disappear as more people seeking the malls for the better comfort over the best food. I just hope we have it for as long as possible as the malls can’t compete with the food quality wise.